Football is the most popular team sport worldwide. Physiologically, football is a high technical running-based sport with bouts of high-intensity activities being interspersed with low-intensity activities. Due to the high match frequency during in-season, there can be limited time for developing training qualities with a focus on preparing for the next game. Football teams focus on developing the technical, tactical and physical properties of the team to best prepare them for the competition period ahead. Pre-season is seen as an opportunity for developing these training qualities as competition is reduced to a few games over a period of four to six weeks. In part one of this article, the authors go through the general concepts of preparing a pre-season phase, including progression in training loads, testing physical qualities and establishing individual goals for pre-season. 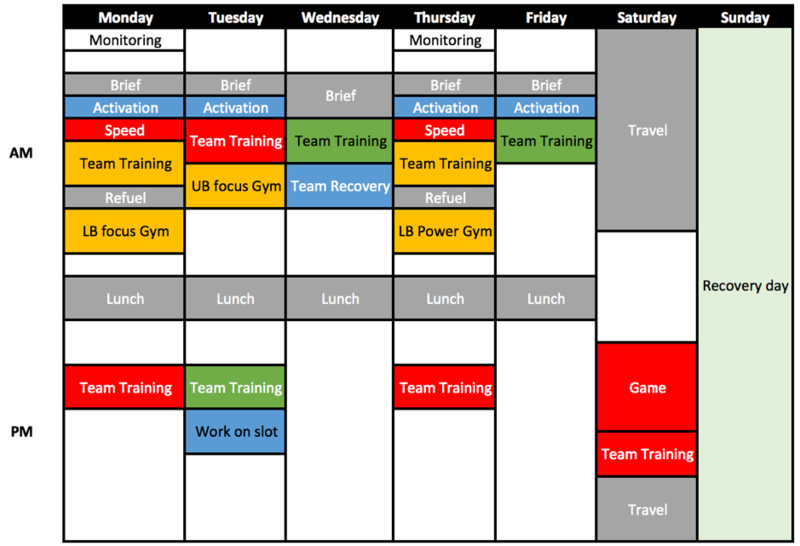 In addition, this will include an example design of a training week schedule in elite football. Part two of this article will have suggestions from the authors on some measures that can be used to monitor training load during pre-season. A few examples on how to report these training loads to the coaching staff and players will also be included. With increasing pressure and the high stakes involved within competitive football; periodizing the pre-season has become an important stage for many football teams. In any textbook or manuscript on the topic of training periodisation for team sports, one can find a clear distinction between different phases of the calendar. Essentially two main periods can be distinguished: the competitive period and the non-competitive period. The latter is normally divided in two phases, the off-season and the pre-season phases. For this article, pre-season is defined as the period after the off-season period, when training is conducted collectively and often includes friendly matches. This article will focus in the pre-season phase, using an example of a five-week pre-season in an elite football team. The focus of a pre-season is improving the physical, technical and tactical aspects of the sport, providing the team with the best possible chance for success. Because of this, practitioners need to determine the best periodization model to suit their team. Independently of the model, pre-season is generally characterized by progressive increases in training loads. It is common for teams to aim to achieve the highest training loads during pre season . Frequently, one of the pre-season goals is to ensure that the players achieve a new individual maximum for field training loads, from both an intensity and volume stand point of view. It is however important to note that training load stressors are one of the biggest predictors for injury and illness . It has been shown that an increase in training load whilst providing insufficient recovery increases the risk to injury . Therefore, appropriate pre-season planning needs to take place to limit these issues from occurring. As previously mentioned, pre-season is a time when training load increases substantially. On Figure 1, the adaptations from a pre-season period are schematically presented. On the left side, one can see that the same training load (represented by the football) elicit lower levels of fatigue post pre-season (blue dotted line) in comparison to the initial stages of pre-season (black line). On the right side, the training load that would initially elicit very high levels of fatigue and increased risk of injury (i.e. black line going to a “red zone”), post pre-season elicits lower and tolerable levels of fatigue. In other words, pre-season allows for athletes to be able to tolerate greater training loads by increasing their working capacity, not only on the football training but also in other important aspects of players preparation, i.e. strength and power work. Numerous factors need to be considered when preparing a football pre-season. These factors can been categorised into two main characteristics: Pre-season and player characteristics (Table 1). In this section, we will use a professional senior team as an example. These characteristics will be presented throughout this section to support the rational for the pre-season planning. During pre-season, training loads should increase progressively to allow athletes to adapt from training and to reduce risk of injury. In our example, we will use a 5-week pre-season phase. On Table 2, training loads (running and resistance training (RT) load) increase from week to week with until Week Three and Week Four for running load and RT load respectively. Both loads have been split into a volume and intensity breakdown. This is because the authors suggest that the periodisation model for volume and intensity work on slightly different tangents. Table 2 – Example of the running and resistance training (RT) loads throughout a 5-week pre-season. Weeks Four and Five are suggested to act as a reduction in volume to act as a taper into the lead up of competition. It is advised to begin the first week of pre-season with a light – moderate load for both volume and intensity. This is to help provide a base for players and acts as a starting point to increase the load. However, due to the nature of elite football, players return with different experiences of load from the off-season period. Clubs may have players returning from International tournaments who have had a couple of weeks off. At the other end of the spectrum, teams may have players who have had eight weeks off due to not being selected for the national team. Due to these mixtures the practitioner will be required to adapt the load and progressions in this first week to the individual tolerances. In this example, the volume is to increase for the first three weeks of pre-season, where it peaks. Weeks Four and Five are suggested to act as a reduction in volume to act as a taper into the lead up of competition. For intensity, it is advised to have players to be working at a high intensity by Week Four, maintaining it through to Week Five. By keeping the intensity high, performance staff are providing a stimulus which can elicit a physiological effect, without having to produce high physical volume. This then leads into the competition phase where it is can be difficult to keep up the volume of load for all players (e.g. those players who travel and are on the bench most games), making a high intensity working week paramount. As players may be returning from minimal load in the off-season, it is important that the workload in this time frame does not cause dramatic increases in load, as spikes in workload have been linked to an increase injury risk . However, it must be noted that during this period a spike in load will happen. This does not mean that practitioners should stress about increasing an athlete’s load. There is a tendency for staff to limit physical performance due to an increase in injury risk. It is however suggested by the authors that as performance staff we can provide a ‘controlled spike’ in load to best prepare our athletes for the oncoming competition load. When providing this increase in load, practitioners need to work smart; utilising data to provide a rationale for what they are planning to do. Using a process similar to what is outlined by Taberner & Cohen , it is suggested that sports science staff move from control to chaos throughout pre-season. To maintain an element of control in the ‘spike’ in load an option can be for practitioners to use timed runs. This way by using time to cover a set distance players average and peak speeds can be maintained. By increasing conditioning into more football specific as the pre-season goes on, performance staff can increase an element of chaos (uncontrolled / random movement). Thus, this increases the specificity of what is required for a footballer. Figure 2 highlights an example of this change in stimulus from Week One to Week Five in the conditioning of elite footballers. Although football is a team sport, it is important to remember that athletes not only respond and adapt differentially to training loads, but also have different strengths, weaknesses and limitations (Figure 4). Therefore, it is of utmost importance that training is individualised to maximize the adaptation potential while diminishing the risk of injury. Together with the players characteristics (Table 1), a profiling test battery must be implemented to know the areas where each athlete needs to focus on. Tests to be included in the profiling test battery must be valid, reliable and sensitive to changes . Importantly, the testing battery need to provide relevant information for the design of the training program. Re-testing must be performed regularly in order to monitor players adaptations to training, assess the efficacy of the training program, and to allow for practitioners to adjust the training program. Given the heterogeneous training background of footballers that is normally observed at the professional level, it is important for practitioners to be able to find solutions to measure target physical qualities without increasing the risk of injury. Moreover, for a test to be valid, athletes need to be familiarised with the tests they will be performing. Practitioners cannot expect to obtain valid measures from a test that is performed for the first time by their athletes. Additionally, for team sports where time to train is commonly a constraint, tests should be easy to set-up and quick to execute. For example, instead of using a YoYo or a 30:15 test that require equipment set-up (e.g. audio speaker) and can take long periods of time to complete, one can use a 1200m shuttle test (~5 min test) instead . Correlation scores of a YoYo IRTL 1 and a 1200m can be found here. Monitoring through training rather than using testing sessions is commonly used to avoid changes in training schedule or to expose athletes to high spikes in training loads. For example, instead of measuring 1-RM (1 repetition maximum) in the gym, one can predict 1-RM from lifted loads throughout the season, therefore being able to monitor the load intensity lifted by the players. Measuring aspects of running load can also be apply following the same logic. Maximal speed tests with the use of speed gates are not necessarily required. Research has shown that max speed from GPS has been shown to be accurate and reliable . As most teams have every player wearing GPS, we can confidently take the max speed achieved from sessions through the GPS. Similarly, the GPS data can be used as markers of fatigue and observing volume and intensity progressions. More detailed information on how this can be done is presented in part 2 of this article under the “monitoring and reporting” section. The authors present an example of the tests that can be applied to individualize the physical qualities work on areas on Table 3. Although not present on table 3, it is important to mention that a battery of tests should also be conducted to detect increased risk of injuries. 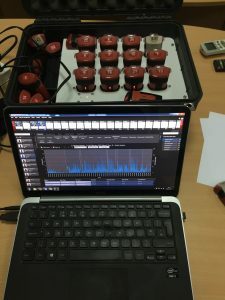 For this purpose, normally a more complete battery of tests is applied during pre-season with some of these tests being performed on a daily / weekly basis to monitor any eventual changes from habitual scores in target areas (groin, calf, hamstrings, etc) . Individual injury reduction plans and regular monitoring should be based on the scores obtained on pre-season together with some other indicatives of increased risk of injury (medical history). 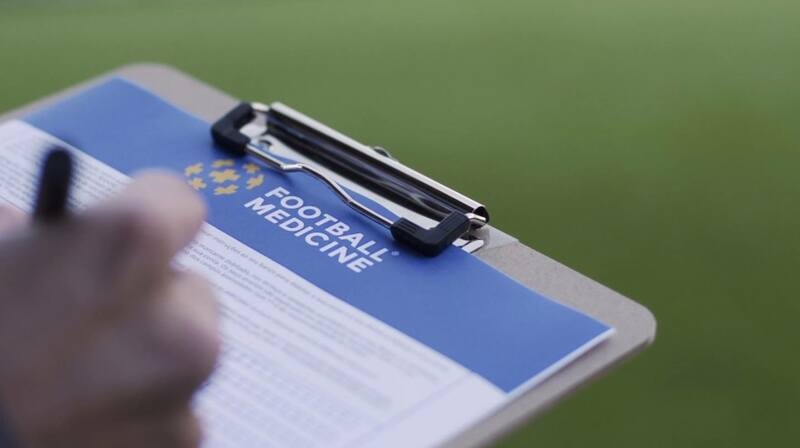 After players have been tested, results must be analysed. An example of this analysis is provided on Figure 4 and Quick Note 1. The authors have opted to use an individual analysis where pre-season scores were compared to last season best scores. Other comparisons that are commonly used compare current scores with: Personal best scores, team standards or the score obtained at the same period on previous season(s). The interested reader is referred to the study from McGuigan, Cormack and Gill . Figure 4 – Example of two different hypothetical players physical qualities characteristics. In the graphs, “0” is a low score and “2” is a good score. It is important to keep in mind that planning of individual goals and design of individual training interventions should not be dictated solely by results of the performance tests. The training background of the athlete (i.e. training age, playing level, age) together with the medical background (e.g. previous injuries) and the returning condition provide important information when individualising training. How the training stimulus is implemented and progresses to address each individual player weaknesses will result from the input of the performance, medical and coaching staff. An example could be the creation of training opportunities where players are allocated to different groups: Fitness opportunity, Lower body strength opportunity, Skills opportunity, etc. On Figure 5, the authors present a general overview of a weekly training schedule. It is important that departments work coherently to increase the chances of success within a football club. The detail of each session will be discussed in part two of this article. In conclusion for part one, there are many considerations that the practitioners must take when planning a preseason. It is a thorough process that is required, where a team outline needs to be supported with an outline highlighting those individual differences. With the plethora of data now available to sports staff, it is paramount that they can determine what is important for their team to achieve their goals. This shall be discussed in the second part of this article. Jeong T-S, Reilly T, Morton J, et al. Quantification of the physiological loading of one week of “pre-season” and one week of “in-season” training in professional soccer players. Journal of sports sciences. 2011;29(11):1161–6. Brink MS, Visscher C, Arends S, et al. Monitoring stress and recovery: New insights for the prevention of injuries and illnesses in elite youth soccer players. British Journal of Sports Medicine. 2010;44(11):809–15. Jones CM, Griffiths PC, Mellalieu SD. Training Load and Fatigue Marker Associations with Injury and Illness: A Systematic Review of Longitudinal Studies. Vol. 47, Sports Medicine. Springer International Publishing; 2017. 943-974 p.
Hulin BT, Gabbett TJ, Blanch P, et al. Spikes in acute workload are associated with increased injury risk in elite cricket fast bowlers. British Journal of Sports Medicine. 2014;48(8):708–12. Currell, K; Jeukendrup, A E. Validity, Reliability and Sensitivity of Measures of Sporting Perforomance. Sports Medicine. 2008;38(4):297–316. Kelly VG, Wood A. The Correlation Between the 30-15 Intermittent Fitness Test and a Novel Test of Running Performance. Journal of Australian Strength & Conditioning. 2013;(March 2013):91–4. Beato M, Coratella G, Stiff A, et al. The validity and between-unit variability of GNSS units (STATSports Apex 10 and 18 Hz) for measuring distance and peak speed in team sports. Frontiers in Physiology. 2018;9:1288. Akenhead R, Nassis GP. Training Load and Player Monitoring in High-Level Football : Current Practice and Perceptions. 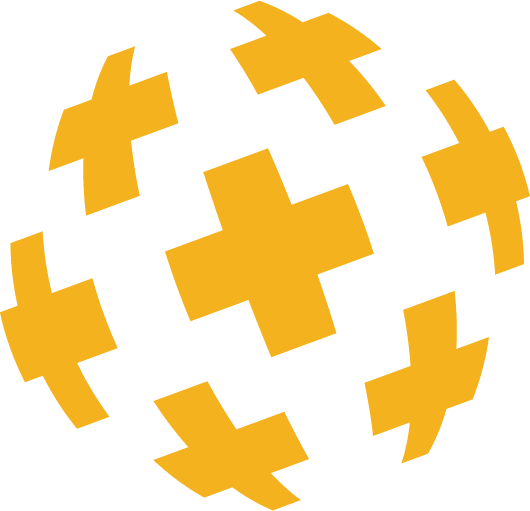 2016;587–93. Mcguigan MR, Cormack SJ, Gill ND. 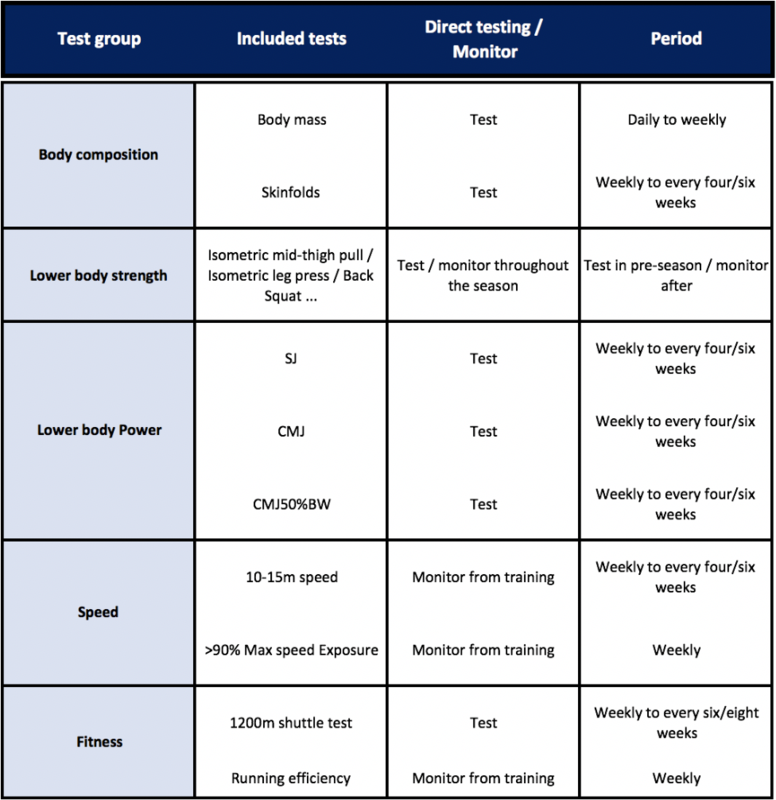 Strength and Power Profiling of Athletes: Selecting Tests and How to Use the Information for Program Design. Strength and Conditioning Journal. 2013;35(6):1–8.